I've been using either a 7 Grain or a 10 Grain cereal in my Whole Grain Sourdough bread for ages now. That's pretty much why I've started calling it whole grain instead of whole wheat - never mind that the recipe still says whole wheat. 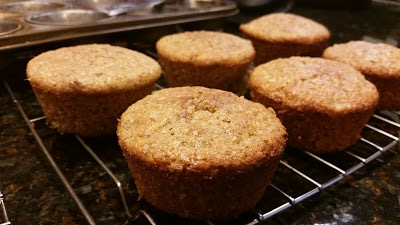 On the Bob's Red Mill 10 Grain Cereal package there's a recipe for muffins. For some reason I've never made those muffins, but I was reminded of the recipe when I bought a new package this week. Usually I keep my cereal in a peanut butter jar, so I don't see the recipe unless I happen to buy a new package, and it usually lasts me quite a while because I use about 2 T each time I make bread. This time I decided to make the muffins, but of course I changed them up a bit. I've got lots of apples right now, so I decided to add some diced apples. And some cinnamon. Combine milk and cereal; let stand for 10 minutes. Cream sugar and butter together. Add egg and mix well. Stir in chopped apples, then mix in milk and cereal mixture. Combine dry ingredients and stir in; just until mixed. Pour into greased muffin tin and bake for 20-25 minutes, until a toothpick inserted in the center of a muffin comes out clean and muffins are browned to your liking. Remove from oven and allow to cool for 5 minutes before removing from pan. 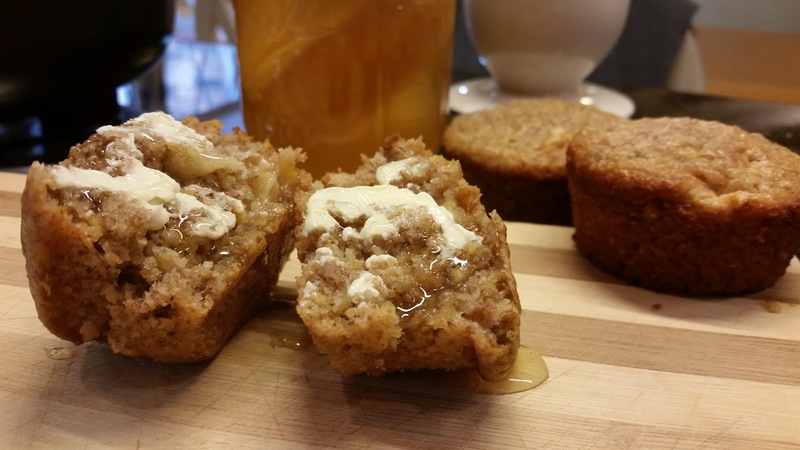 I am really enjoying these muffins, especially with a little butter and a drizzle of honey. 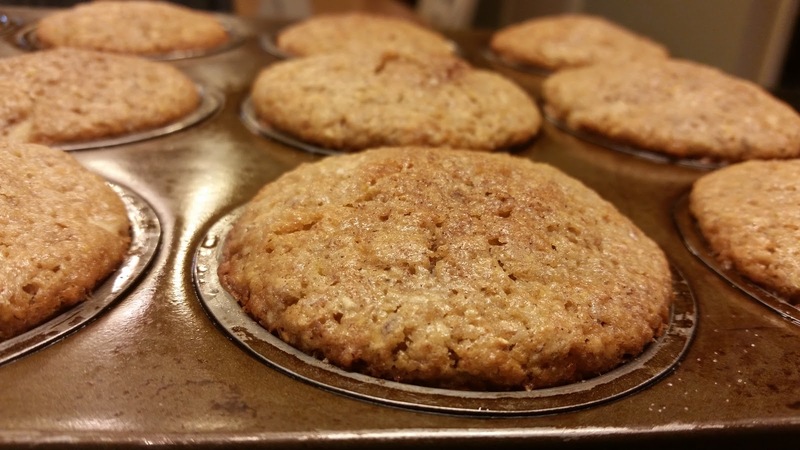 I think my favorite apple muffins are still these Oatmeal Apple Muffins (seriously, try those; they are awesome), but I am enjoying these for a change. They're nice and moist, and the 10 Grain Cereal adds a nice texture and a slight chewiness. I am thinking that I'll at least double the cinnamon next time, because I can't really taste it in these. For now sprinkling a little cinnamon on top of the honey really does the trick. So good! I also think either all whole wheat flour or at least half would be good. I just used the unbleached white flour the recipe called for because I figured all the grains in the cereal would be enough, but I'm a sucker for whole wheat flour in my muffins, so I'm trying that next time. Now I'm going to check out all the other recipes on the Bob's Red Mill site and see what else I've been missing out on.